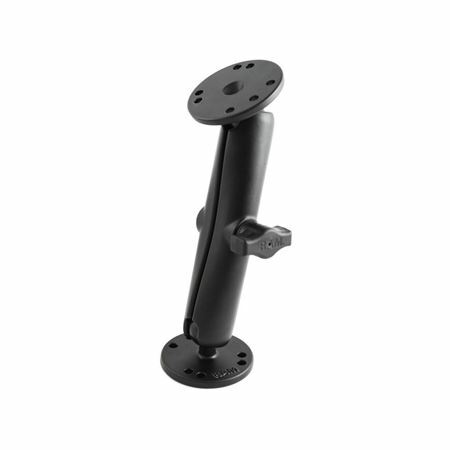 The RAM-B-101U-C 1" Ball 6" Arm 2x2.5" Round Bases has two 2.5" round bases with AMPS hole pattern on a long double socket arm. The RAM-B-101U-C RAM 1" Ball, 6" Arm, 2x2.5" Round Bases from the RAM Mount Bases range is made of a pair of 2.5” diameter circular plates designed with the AMPS universal hole design, with a medium length 1” double socket arm. The patented rubber ball and socket system in this product is created to provide vibration and shock resistance, as well as allowing maximum adjustability. 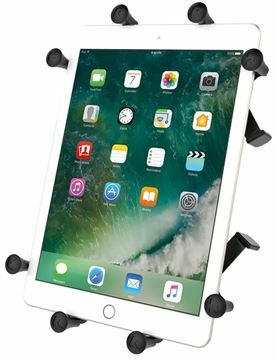 The RAM-HOL-UN9U X-GRIPIII Universal Cradle for Large Tablets features a spring loaded X-Grip® to cradle your large tablet with multiple grip arms.